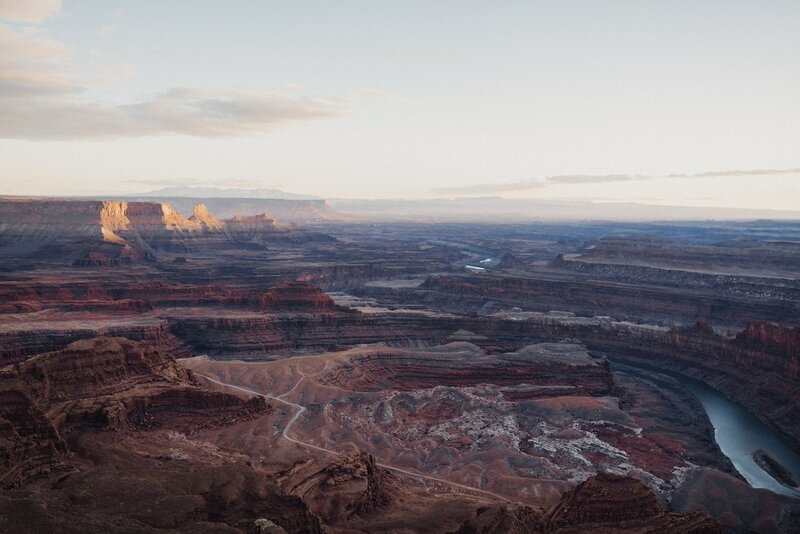 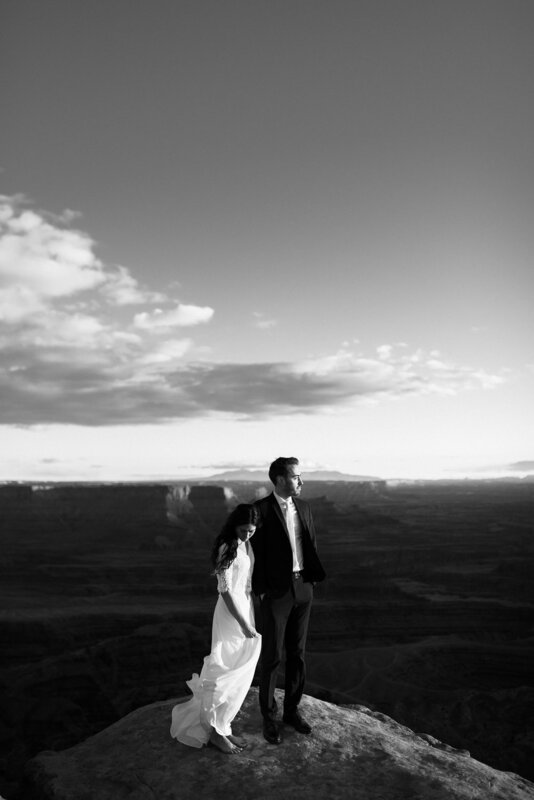 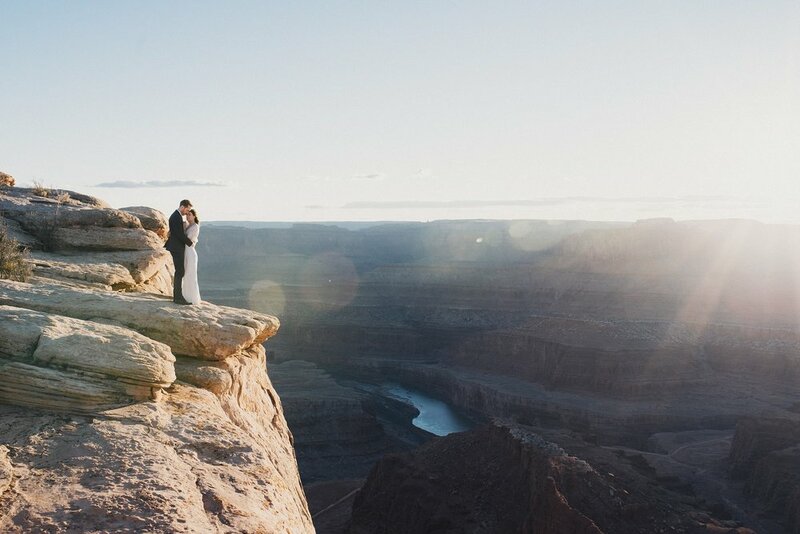 Drove down to the Moab desert to capture these pre-wedding bridals at Dead Horse Point. 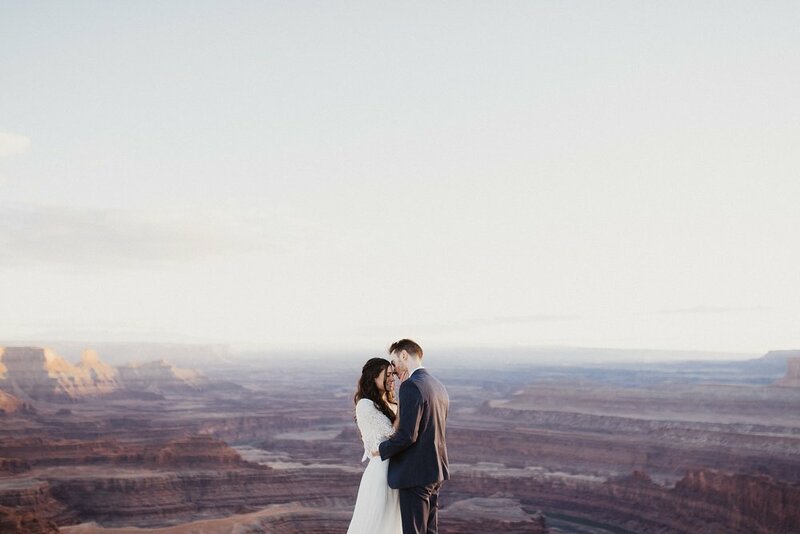 This corner of the red rock desert is one of my favorite- sherbet skies, vibrant reds, and the perfect amount of wind chill to make you and your love cuddle up. 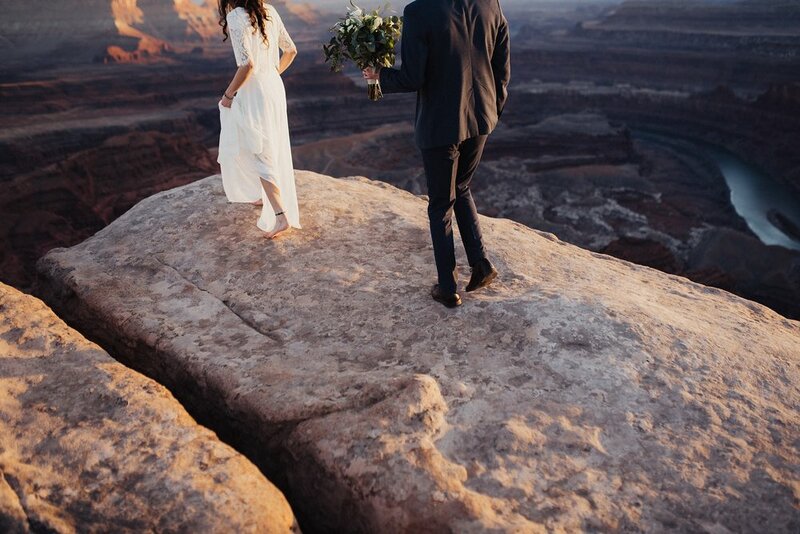 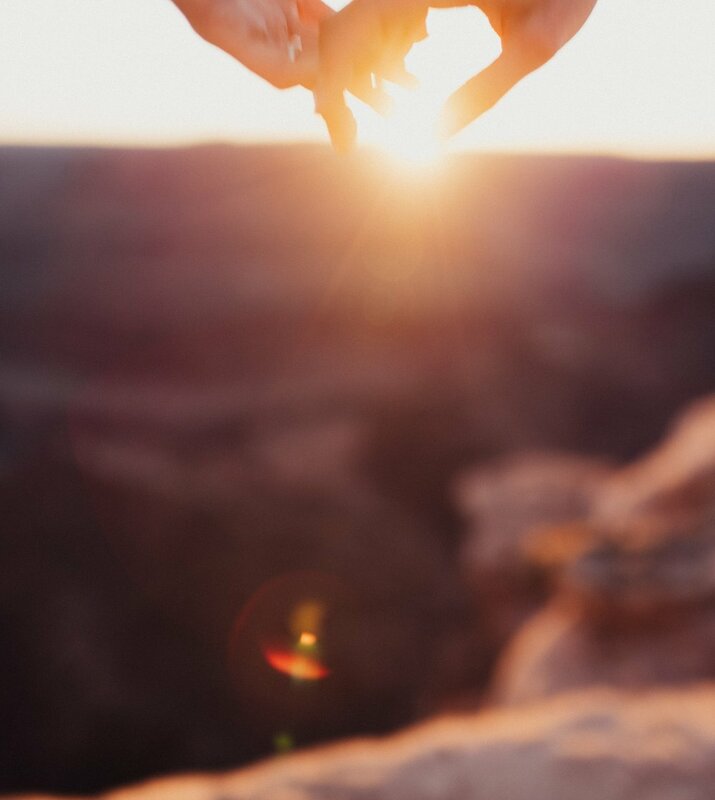 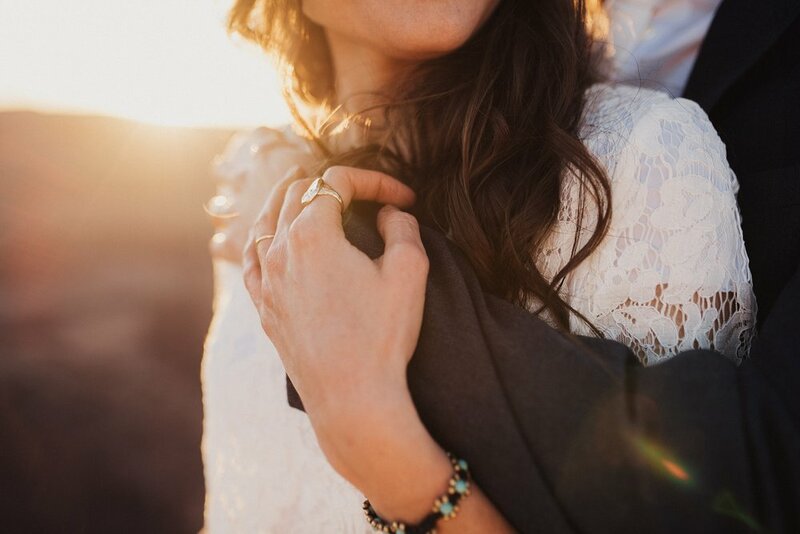 Capturing love in the desert is one of my favorite things- if it sounds like the spot for you and your lover, shoot me a message here and let's start planning!